Sailing is one of the most exciting and exhilarating things that you can do on the open water. Swaying to and fro on a sailboat as you soar by the crystal clear waters can be incredibly thrilling, even more so when you're sailing in Key West. 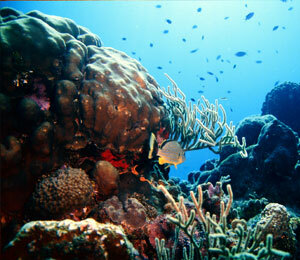 Sailing can also provide easy access to some of the top spots for snorkeling in the area. Sailing allows you to view Key West and the surrounding areas such as you've never seen before. A wondrous island in the Straits of Florida, Key West has built its reputation as the prime destination for sailing. There are a large number of amazing snorkeling locations that you can sail to on one of many catamarans throughout the area. Home to North America's only living reef, you can snorkel among a large variety of fish, as well as tons of colorful coral. It's also possible to view wrecked ships that have sunk to the bottoms of the ocean. 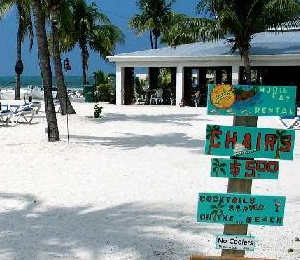 No matter whether you're a beginner or someone with years of experience, snorkel Key West has the best locations for everyone. As Key West is known the world over for its snorkeling opportunities, there are many tours available for visitors of all types to choose from. Many of these tours will allow you to sail on a first-class luxury Catamaran, as well as providing access to all of the best snorkel locations in Key West. 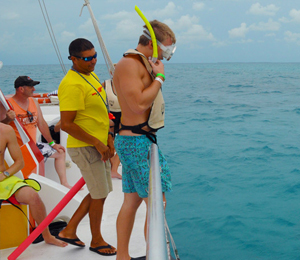 A variety of Key West Snorkel Tours available to you include a myriad of benefits that will entice you to come back for more. Booking one of these tours will also allow you access to an unlimited amount of drinks during the adventure, from beer to soft drinks to wine and sangria. These tours will offer complete snorkeling gear so that you don't have to worry about bringing your own. While the snorkel tours offer most of what you will need, it's also recommended that you bring basic beach necessities along with you, such as a swim suit, beach towel, sunscreen and sunglasses, as well as a camera if you want to take pictures of some of the unforgettable moments that you will undoubtedly experience on your tour through the best snorkel spots in Key West. It matters not if you are a family or a young couple on their first vacation together, a Key West snorkel and sail offers everything you are looking for and more.